Copyright �2007 PopEntertainment.com. All rights reserved. Posted: January 25, 2007. For Golden Globe-winning actress Helen Mirren, playing Her Majesty Elizabeth II in The Queen wasn't such a stretch since she had already given a masterful rendition of another monarch with her uncanny portrayal of Elizabeth I in the 2005 British mini-series. The 61-year old Mirren's experience in preparing for the royal role was enhanced by her wide-ranging acting history � including five queens and a television sleuth. Her own history includes two past Oscar nominations, several Tony nominations and winner of a slew of other awards during her career of over 80 films � and now this year's Oscar nomination as Best Actress with Meryl Streep and Judi Dench. Yet the self-effacing, easily approachable actress has tackled the role of the reigning monarch of her country with such aplomb, it's hard to realize that it's Mirren playing the Queen. 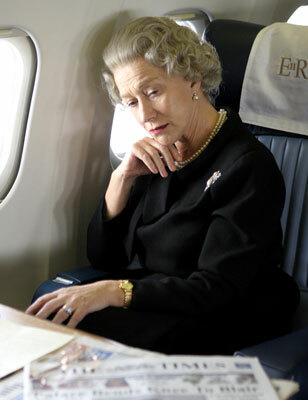 However accurate was scriptwriter Peter Morgan's rendition of this queen's interplay with Prime Minster Tony Blair, veteran director Stephen Frears grappled with the conflict between the Royals' right to privately grieve and the public's demand for an outward expression of mourning. But Mirren so brilliantly brings to life the person behind the headlines that we really can empathize with how the turmoil created by Diana's death affected the royals. Was it an accident that you were cast for two roles as a Queen? It was a happy accident that I play a queen in both films. I didn't even realize that I'd be playing two queens � not only one right after the other, but in the same year. After filming �Elizabeth I� I was exhausted physically and mentally. I only had two weeks off of filming in between movies. What was your approach to doing both roles? Elizabeth I and Elizabeth II are different people with different personalities. They came from different political climates. Elizabeth I dealt with the power of dictator Saddam Hussein while Elizabeth II had no power at all. But playing one Queen after the other made me think about monarchy and what it means to take on that kind of role. The only similarity between the two characters, I think, is that both found themselves in the monarchy and committed themselves to it with all their heart, sans complications or neurotic behavior. What was the key difference between this character and Elizabeth I? With Elizabeth I, no one knew what she sounded like, or how she walked, or how she turned her head to smile. We know what her personality was like because it was historically recorded. But the specifics of her nature, physically, we are unsure of. She had all her portraits done so they flattered her. She controlled her image. 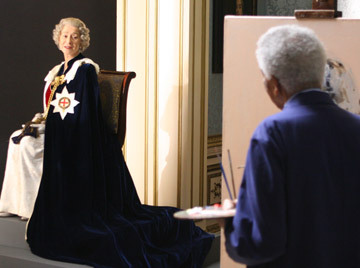 For Elizabeth II, not only she is still living but is also well known. Everyone knows how she speaks and looks � right down to her hair style. So I had to fulfill those characteristics which are completely different than the imagination utilized for the first role as a Queen. How do you feel about the monarchy in England? At first I was opposed to a monarchy. My feeling is that I'd like us to have a monarchy the way the Swedish people have a monarchy � a royal family who goes to the supermarket. I think that's how everyone should behave anyway. I'd like to see movie stars in supermarkets, too. I think there is a value in having an iconic sort of representative of your country, culture and history. Did you gain any insights about Prime Minister Tony Blair from the Queen's point of view? Not necessarily through the Queen's eyes, but I do think the trajectory of Tony Blair is fascinating. One of the brilliant lines that scriptwriter Peter Morgan wrote was how political figures eventually demise. The Queen has been through 10 Prime Ministers. She's seen them come, have their moment of glory, then go. Briefly, about five or six years ago in a relaxed setting � a tea party. Chloe Sevigny and I were taken to meet her. [Laughs] There were a lot of people around and she charmed the crowd. It only lasted 20 seconds but she was lovely. Are you still expected to curtsey even in a casual setting especially since you are a Dame? Yes. I think when you first meet the Queen, you should bob at least. The Queen herself says, "I don't measure the depth of curtsey." But you find yourself doing it whether or not you want to � out of respect. In The Queen, you wear many outfits. Was there a piece that really made you feel like the Queen? Not one garment in particular, because they all made me feel like a real Queen. The outfits range from formal, like what she wore in her greeting at Buckingham Palace, but then she also dresses more casual in her country gear. I suspect she never actually dresses herself [at the Palace] because she does not coordinate outfits at all. She'll wear a yellow shirt, with layers of pink and blue on top. It's like she just grabs clothes from her closet without thinking about what matches when she's in the country environment, which is where she's by far the most comfortable and happiest within herself. She has no vanity at all. This queen did drive a Landrover. Absolutely � a funky old one. After I filmed "Elizabeth I" a friend of mine who is head of the television company that made "Elizabeth I" had dinner with her shortly after and he asked her if she'd seen the movie. She said "Yes I did, and I thought it was marvelous." He said, "Can we send you a DVD of it?" Then she said, "Oh no, we don't have DVDs, we only have video." That was just [eight] months ago. So sweet, a classic royal family. Was it strange to see yourself onscreen as a character who is much older than you look in reality? Actually I loved it. I play the Queen when she was 70, which is basically 10 years older than I was then. It was actually a relief because I used minimal makeup to smooth my mouth and thicken my eyebrows. But that was it. They didn't draw in wrinkles or anything like that. You nailed the way the Queen tilts her head. I never looked in the mirror or photos but instead studied three pictures I had of her in my trailer. When I wasn't on set, I had a TV monitor with footage of her, played tapes and read books to try and fully capture her character. I did the same type of study with Elizabeth I so it became second nature. I loved being the Queen. How do you find humanity in playing a celebrity? The Queen is not a celebrity. She is monarchy which is completely different and has nothing to do with being a celebrity at all. Being a celebrity like Paris Hilton or Tom Cruise is not the same as being a Queen. They do not fulfill the same functions in society. A celebrity puts on a "smiling for the camera" performance, while being an icon of a country is like the Statue of Liberty or Mount Rushmore. It's a different kind of performance. Do you think the media should leave Princess Diana alone and let her rest in peace? It doesn't matter what I think. Eventually she will pass into history. She was a large part of our media lives and I make a thousand dollar bet that before she died, you could go to a newsstand anywhere in the world, any day of the week and there would be a magazine with her on the cover. I think she was photographed and talked of in the media more than anyone in history. Do you feel actors are over-romanticized as royalty? I think you are probably right about that. Actors and movie stars fulfill the "royalty" function in the way monarchies do. They inhabit that "dream world" of fairy palaces, privilege, wealth and fame. But of course, celebrities are different from monarchy because they have a choice in the matter. After this character, would you like to go in a different direction for your next project? I guess so. 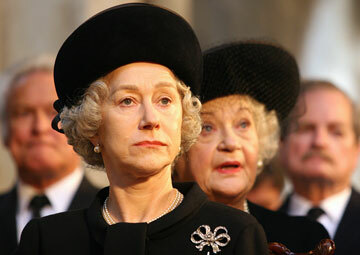 After doing Elizabeth I immediately started filming the television show "Prime Suspect: The Final Act." It's different because it's gritty, modern and dark. That was my opportunity to go elsewhere. There's a scene where the dogs look like they're going for something in your hand. Did you have treats? I did. Having treats is essential to training dogs. We rented a pack of Corgis and they were not film-trained. I had to work with them to follow me. But I am good with dogs and know how to get them to do what I want. I loved those Corgis because they were funny. I can understand why the Queen has them. I did. Forget the Oscar. I'd be more proud of an award for dog handling. What is it like for you to be filming a show in New York? How has it changed since the last time you were here? I've visited New York many times, but the last time I worked here was around 9/11. Real estate has exploded and I think it's tragic that the Plaza is being turned into condominiums because that was a piece of New York history. As a foreigner, to me it had a certain glamour that will be lost with the condos. I haven't stayed there but I've been there for meetings. It was always exciting to go because it was not like anything anywhere else. #1 � 2006. Courtesy of Miramax Films. All rights reserved. 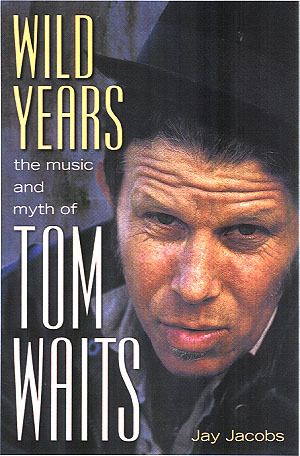 #2 � 2006. Courtesy of Miramax Films. All rights reserved. #3 � 2006. Courtesy of Miramax Films. All rights reserved. #4 � 2006. Courtesy of Miramax Films. All rights reserved.